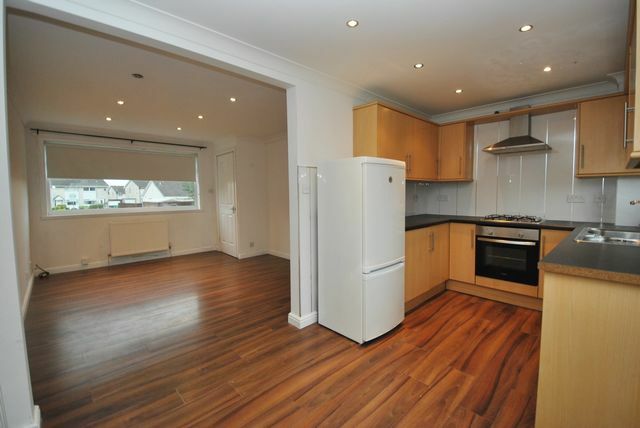 Lovely semi detached family home in this popular Moodiesburn location. Set back form the main road and with car parking and access to the rear, this family home has entrance hall, spacious open plan living area and kitchen downstairs ( with storage) and upstairs has 2 double bedroom both with wardrobes and family bathroom with shower over bath. GCH. Double glazing. Recently decorated throughout in neutral colours with new carpeting upstairs and laminate downstairs. Private garden to the rear.